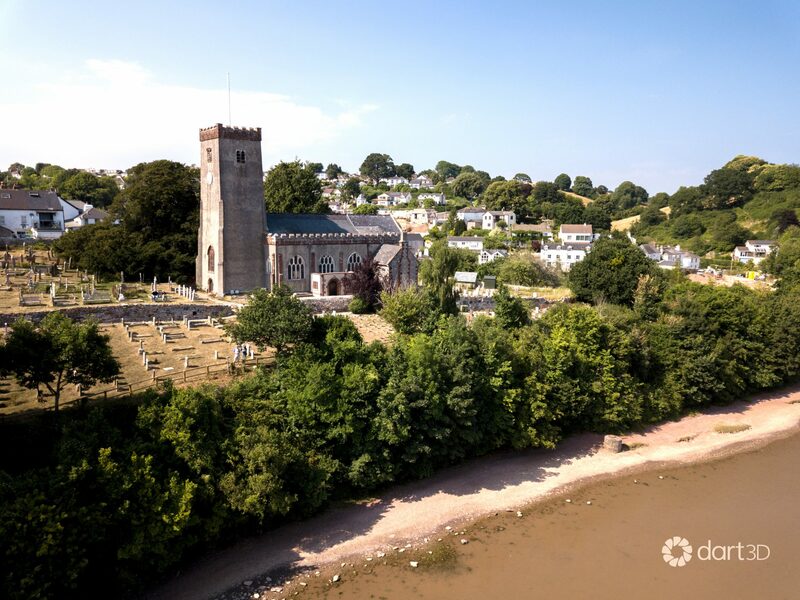 Our Grade 1 listed church stands on a steep bluff at the end of Church Walk – a pretty, cobbled street of medieval houses. 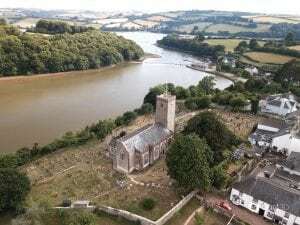 It overlooks the Mill Pool and the River Dart in a designated Conservation Area and an Area of Outstanding Natural Beauty. The original building, dating from the 13th century, had a smaller footprint than the building of today. It was originally dedicated to St Gabriel. The building fell into disrepair and was rebuilt in the 15th century with north and south aisles in a perpendicular Gothic style. Of the original building, only the tower survives. At the time of the re-building, the font, pulpit and rood screen were added. The appearance of the interior owes much to the Victorians, who in the latter half of the 19th century gave the church a new roof, windows and floor, which was elevated in the chancel and in particular the sanctuary. 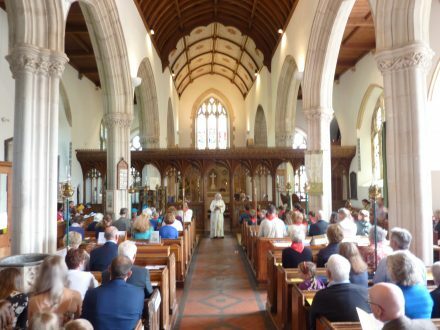 They also installed new open-access pews and an organ, added a vestry and south porch, and rebuilt the lychgate. It was rededicated in 1846, jointly to St Mary and St Gabriel. 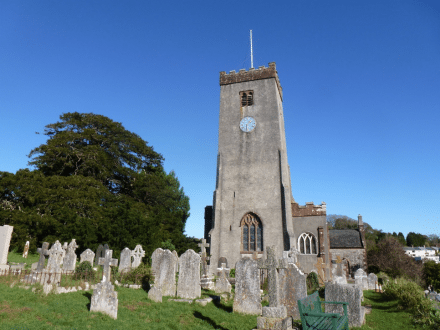 The church has been at the heart of the parish for centuries and generations of Stoke Gabriel families have been inspired and reassured by the sound of its bells and its solid presence in their midst. 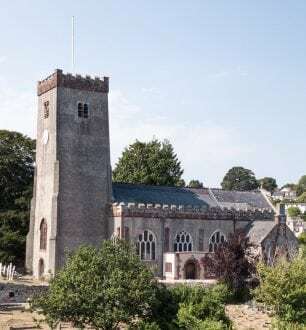 The churchyard surrounds the church and has fine views over the Mill Pool and the River Dart with plenty of south-facing benches for people to rest, contemplate or simply enjoy the views. There are some Commonwealth War Graves and many fine headstones dating from the 18th century commemorating members of local families, including the Pomeroys and Churchwards. The churchyard also contains a centuries-old yew tree. Built as a dwelling in the 17th century, it was used for a National School in 1839, and then in the 20th century as a village hall, until eventually assuming its current role as a church hall (known as the Old School Room ). As such, social events and receptions following services are often held here. It is used by the village Pre-School group during the week and is available for hire for village events and meetings at other times.